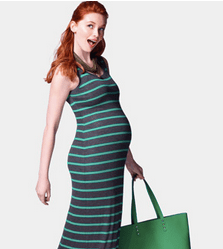 Destination Maternity and it’s family of brands is having a summer sale with up to 50% off select maternity styles! This deal is valid until July 31. I am seeing items down to $6.99 so this looks like a great sale for those of you with bumps! 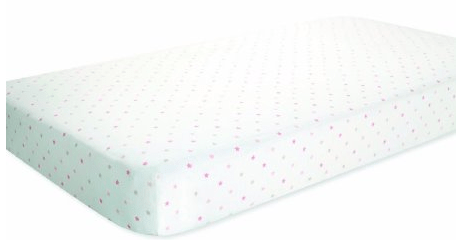 All 7 colors and prints of the aden by aden + anais Muslin Crib Sheet are only $9.98 (Reg $19.99!). That’s a savings of 50% off and the best price Amazon has listed it for. Great price for a nice quality crib sheet. Colors available: Solid pink, solid blue, white, oh boy!, oh girl!, safari friends giraffe and solid sage. Great for any nursery! Target has another one-day-only clothing deal right on the heels of yesterday’s Disney promo. Today only, buy two Justice League items and save 10%, or buy three or more and save 15%. Excludes clearance. Discount applied at checkout. Includes clothing, LEGO, Imaginext, backpacks, shoes, PJs, bedding and more. Calling all OshKosh B’gosh fans! Head on over to OshKosh B’Gosh (or Carters) where you can save an additional 40% off everything, including new arrivals (no promo code needed – excludes clearance, doorbusters, and OKBG exclusives). Even sweeter, through 7/31 you can save an additional 15% on your entire full-price order (excludes clearance) with the promo code AHOYMATE or save 20% off on your $40 full-price order with the promo code BGNSUY20 at checkout (excludes clearance). Keep in mind that shipping is a flat rate of $6 so you may want to snag a few items to make it worth it. Also, keep in mind that Carters.com and OshkoshBGosh.com offer combined shipping so be sure to check out both sites. If you choose to shop on Carters.com, you can also use the promo code BABYC3K to save an additional 20% off your $40 purchase or AHOYMATE to save 15% on your entire purchase. Disney Store Online is offering an additional 25% off all items for their friends & family sale starting NOW through 7/21. Free shipping is offered if you purchased $75 worth of merchandise. We’ve tested the code, and the code works on ALL sale merchandise as well. Don’t forget that Disney currently has $15 backpacks on sale. So if your little ones need a new backpack for the schoolyear, now is a great time to order one from Disney. We’re expecting our 3rd bundle of joy, and we’re having a hard time controlling ourselves to NOT splurge on such cute little outfits & accessories for our little baby in the tummy. Come back and tell us what you bought! Right now on Amazon you can purchase the Cinderella Magic Castle For $27.70! Plus, shipping is FREE with Amazon Prime or with Super Saver Shipping on orders of $25 or more! This one gets pretty good reviews! Right now you can get the FREE Kindle Book: The Complete Idiot Reviews! Free offers tend to go quick, so grab this if you want it. If you see a cost for this book, that means it’s no longer available as a freebie. You don’t need to have a Kindle to read this free kindle book…. you can use your iPhone, Blackberry, iPod Touch, iPad, Android, or even your PC or Mac. In late 2012 Pete Sortwell did something that no one has ever done before: he wrote a book entirely using spoof reviews of items on Amazon. Well, he actually wrote three books. Now, for the first time you can get all these books together in one boxed set. Looking for more FREE Kindle books? Some of the books I have posted recently may still be available for free! Check it out! Calling all you Hello Kitty fans! Head on over to Amazon where they are offering up a Hello Kitty Cake Pan Cake Mold in Silver for just $7.99 + FREE shipping! This would make a super cute Birthday cake for any Hello Kitty fan. Also, note that you can instead opt to score the highly rated Wilton Hello Kitty Cake Pan (which looks almost the same as the other pan) for $10.41 (reg. $30+!). *Shape&Deep enough groove cutter easily make really cute cookies, cakes, muffins, puddings, etc.